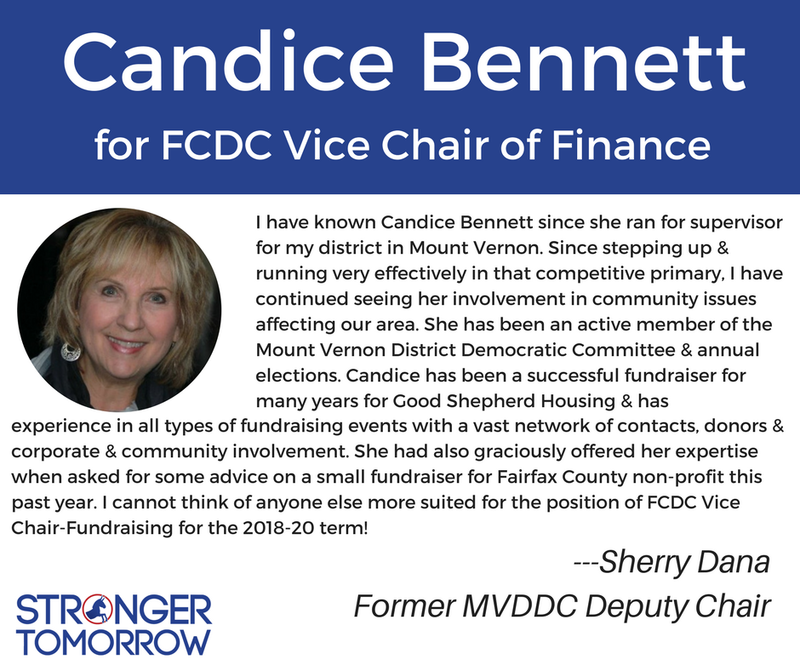 Candice Bennett is the Director of Development and Communications at Good Shepherd Housing and Family Services, one of the largest affordable housing non-profits in the Northern Virginia. She is a graduate of Emerge Virginia and the Sorenson Institute for Political Leadership at the University of Virginia. 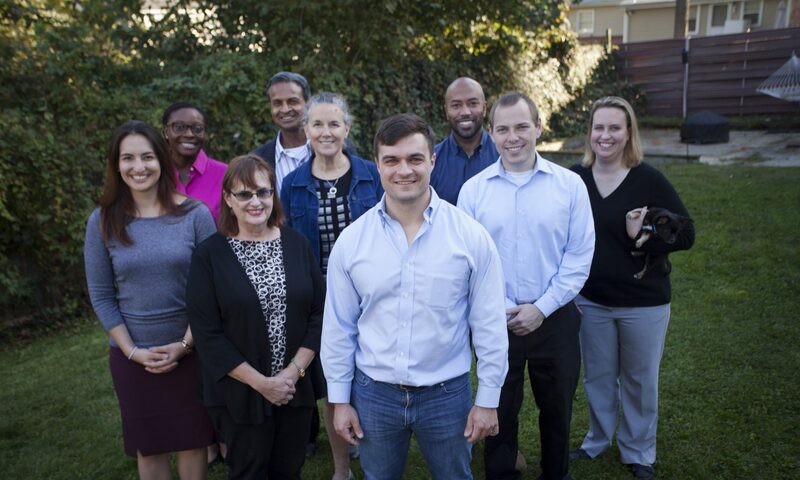 In 2015, she ran for the Democratic nomination for Mount Vernon District Supervisor. 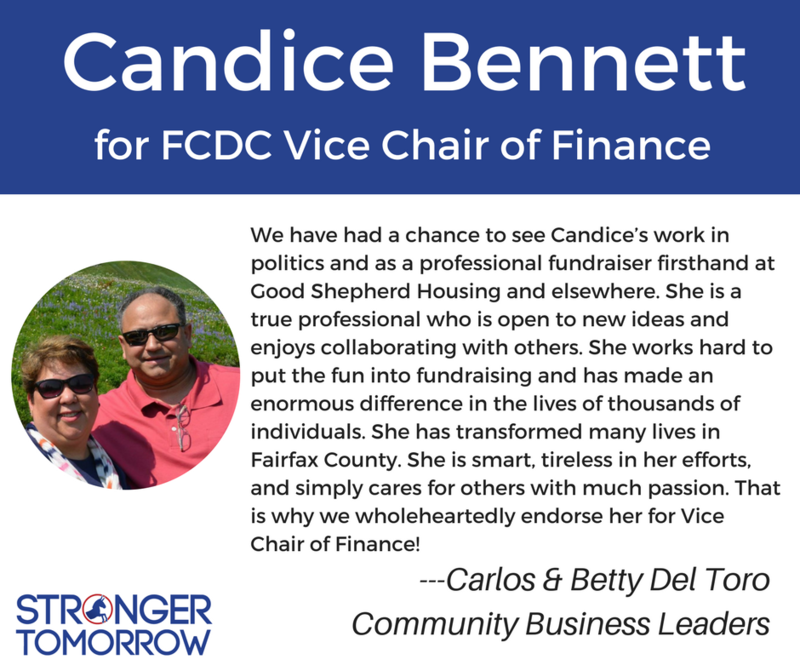 Candice has been developing and implementing communication and marketing strategies for corporations, political candidates and not–for–profit organizations since 1998, having started her career at Penn, Schoen and Berland. 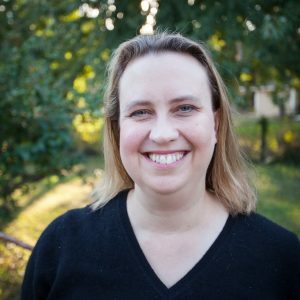 As a small business owner, she has consulted for companies such as Microsoft, Ruder Finn and the Consumer Technology Association. She is a past President of the Junior League of Northern Virginia where she continues to volunteer. 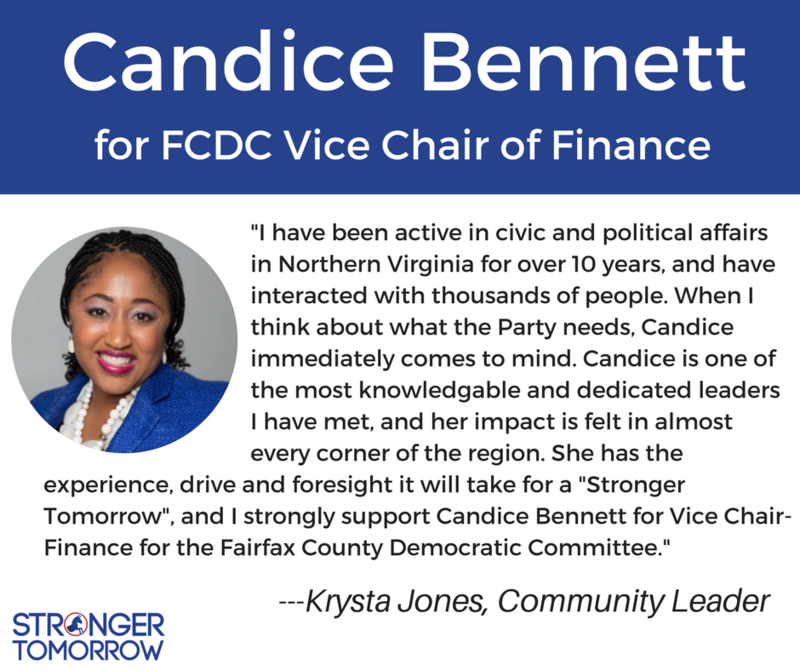 Candice currently serves on the Boards of Directors for the Turning Point Suffragist Memorial and the Lorton Station Community Association. 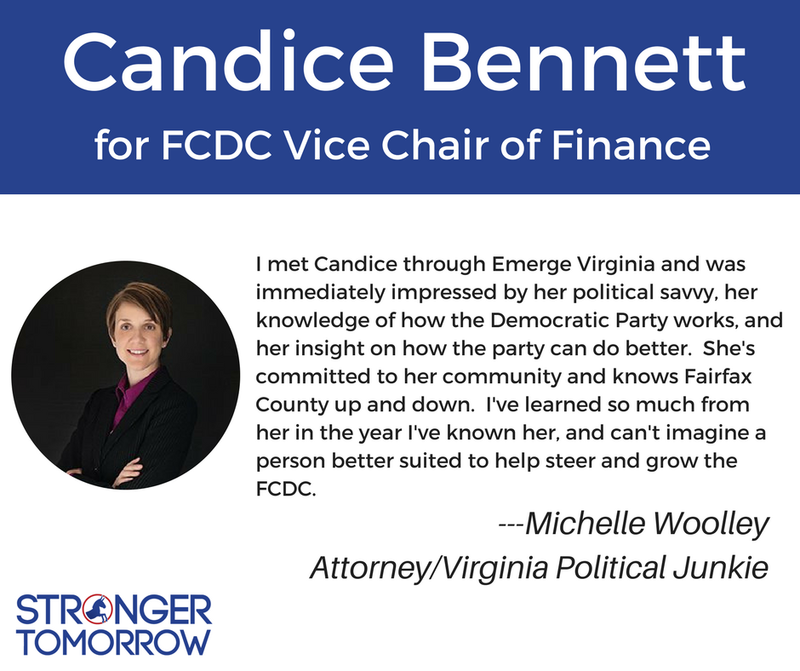 Candice was appointed by Governor McAuliffe in 2017 to serve on Virginia’s Fair Housing Board. Candice received her M.A. in Security Policy Studies and B.A. in International Affairs from The George Washington University. 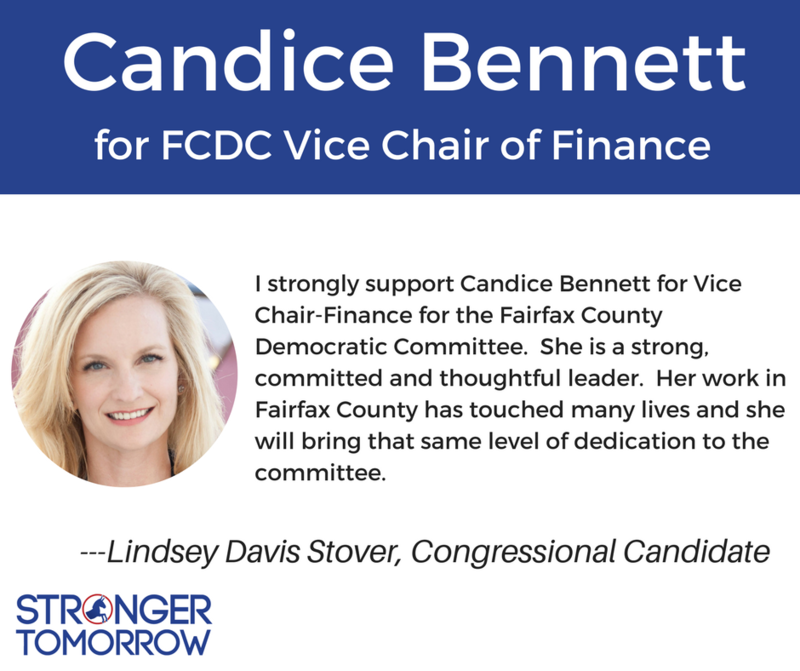 Candice resides in Lorton with her husband, Tom, and their two cats, Simon and Zoe, and their new chihuahua puppy, Riley.